New Year, New Updates - check out what we've been up to! Can you believe that January has already almost passed us by? It’s been as fast a start as it was a busy close to 2018, with our last group project of the year taking place in mid-December with volunteers from our long-standing partner Wells Fargo. Besides me almost losing a finger in a pole lopper and ruining our perfect safety record, it was an incredible year that include our third consecutive year of serving over 200 households (we reached 217), our first year of offering open volunteer events led with our staff, 6 new Team Build partners, a finalists position in Social Venture Partners’ Fast Pitch Competition, and some incredible events along the way that saw both new supporters and dear friends join us in our mission. Thank you to everyone who was involved in our work this year, and a special shout out to your Home for the Holidays annual appeal contributors who helped us finish out the year strong and in position to start projects immediately this year. If you missed making a donation before the end of the year, there’s still time to have your gift included in helping fund our first quarter work by making a donation on our website or sending us a check with “Home for the Holidays” in the memo. With your support, we are off and rolling in 2019 with some exciting announcements. First, please join me in welcoming to our team Linda Hunt. Linda joined us this month as our new Operations and Development Coordinator, coming to us by way of AARP’s Senior Community Service Education Program (SECEP). Linda has a tremendous amount of expertise in the field of community housing and aging-in-place services and we’re excited to have her on a part-time basis this year to support our grant research and applications, program innovations, and other operational improvements. You can reach her on Tuesdays-Thursdays at lhunt@rtseattle.org . We are also announcing the end of our Spring Rebuilding Day program. For 29 years now Spring Rebuilding Day has been our flagship program event, engaging the vast majority of the 40,000+ volunteers that we have worked with, accounting for close to half of the 2,027 projects we’ve completed, and certainly representing some of the most impactful work that we manage every year! But don’t be alarmed, the program isn’t actually going away! It’s just undergoing a few changes and will now be known as National Rebuilding Month . With the name change, we will be building with groups throughout the month of April, culminating on the last Saturday in April (April 27 th ) with National Rebuilding Day . If you’d like to learn more about the program, or your company, civic organization, or group would like to participate this year, we do have a small handful of slots available this year, and you can contact me directly at cmarshall@rtseattle.org . With the change, we expect to be able to invite more groups to join us in the future, so expect to see this program event grow. Last, stay tuned, but we’re also excited to announce two new special projects, one external and one internal. You may have noticed last year the “[Re]” logo and words like [Re]Builder and [Re]vitalize start to appear in communications like this one. 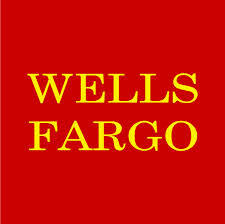 Well, later this spring, we will be launching a new cause-marketing campaign built around the [Re] branding. There will be some unique opportunities with the campaign and we’re looking forward to sharing some of those details very soon.  On the internal front, we have been selected to participate in a two-year impact measurement study, taking a closer look at not just our outputs, but the outcomes of our work. The study will be a long process, but we expect to be able to start sharing some of the data by the time of our Safe and Healthy Homes Breakfast in May – not to be missed this year, especially since it will be held in the Columbia Tower Sky View Observatory! A lot to cover and still much more to share. So if you haven’t been in touch with us lately or would like to see how you can get involved this year, make it [Re]solution to do so – we’d love to [Re]connect! Grab Your Better Half & Meet Us at Seward Park! We are proud to announce that this year, Rebuilding Together Seattle is the non-profit partner for the My Better Half Marathon ! Join us February 10th at Seward Park for this exciting, one of a kind event. Prepare yourself for a running event like no other. Romance, costumes, sweat. 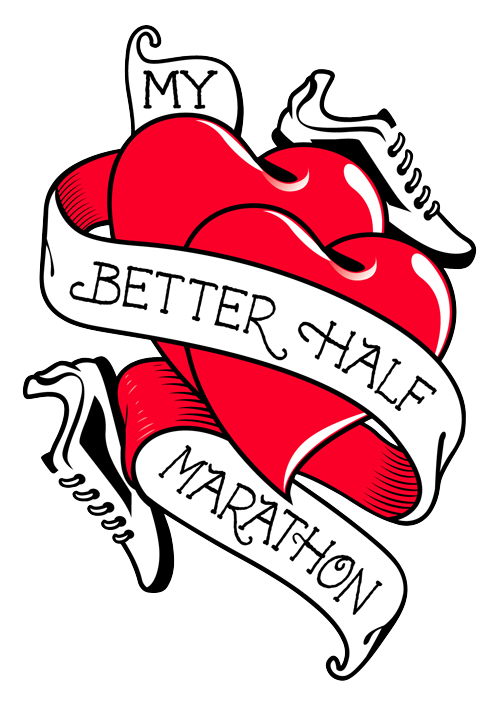 My Better Half Marathon is a celebration of running, romance, and rom-coms. Grab your better half - or fly solo - and sign up for a 5k, 10k, or half marathon. Visit the event website to register for the race. Act fast - registration rates will increase after January 31st! Volunteer - Lend a helping hand and help us ensure a fun and successful event! From packet pick-up to finish line and everywhere in between, volunteers are needed both Saturday, February 9th and Sunday, February 10th. Check out the event website for position descriptions and sign-up info. 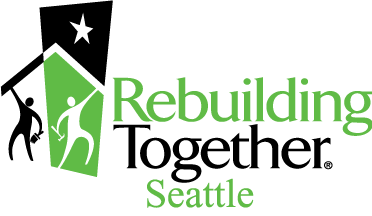 Be sure to mention Rebuilding Together Seattle when you sign up! Fundraise - Whether you're running in the race, standing on the sidelines, or cheering everyone on from the comfort of your couch, you can help us get one step closer to our vision of safe homes and communities for everyone! Check out our CrowdRise page to donate. All proceeds will benefit Rebuilding Together Seattle and help us repair homes, revitalize communities, and rebuild lives. Spread the Word - Help spread the word about the work that we do and this exciting event. Check out our Facebook page for all the details, and tell your friends! 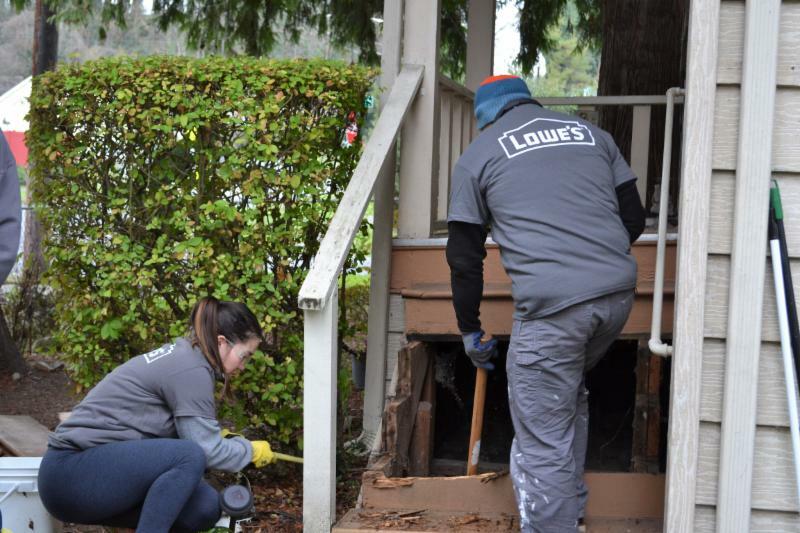 Rebuilding Together Seattle closed out 2018 with a very successful Open Volunteer Day, made possible by generous funding from Lowe's Home Improvement . The event took place on December 8 th on a beautifully Seattle overcast day. 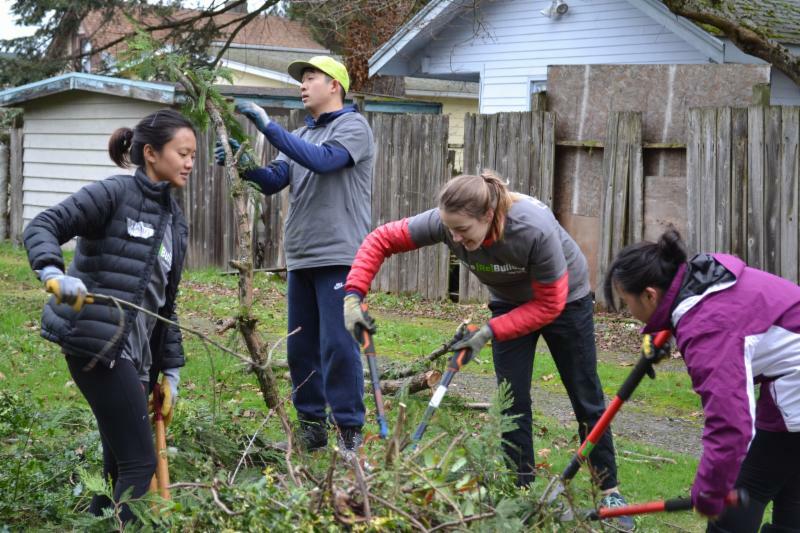 Around twenty volunteers—RTS’s seasoned volunteers, complete newcomers, friends, family, and even AmeriCorps members from Neighborhood Care--gathered around that morning to help homeowner, Zona, in Beacon Hill (check out our Homeowner Spotlight to learn more about her!) All day long our volunteers were kept busy installing grab bars, cleaning out the yard, and completely rebuilding her front porch steps. Zona was thrilled that now she had a safe and accessible entryway for her grandchildren to come visit during the holidays. It might be safe to say that the last Open Volunteer Day of the year was also the most popular—the volunteer slots filled up completely within 15 minutes of the sign up link being sent out. So if you missed the chance to come out and make an impact on the lives of our neighbors, join us for the first Open Volunteer Day of 2019 taking place on Saturday, March 2nd . More details to come - if you are interested in joining us, please click the link and fill out our volunteer contact form . If you have any questions regarding our Open Volunteer Day program, email Scott Sharba, our Programs Manager. Zona, 82, has lived in her charming Beacon Hill home since 1963. 2018 marked 100 years since the home’s construction, and it has seen a lot through the years. For Zona and her family, the home is like an anchor that keeps them together and grounded. It is the gathering place for her six grandchildren and seven great-grandchildren. After Zona’s husband–a Korean War veteran who served in the U.S. Army–passed away, she took over as the loving matriarch of her family. 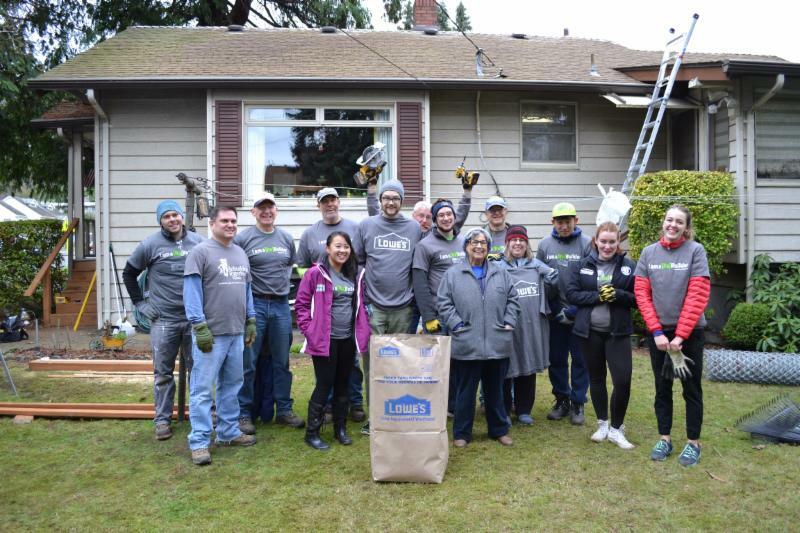 While Zona has been blessed with good health and a large support system, Rebuilding Together Seattle came at just the right time. The repairs focused on improving accessibility, including rebuilding the old front steps, installing grab bars, and removing unwanted items around the property. Additionally, volunteers rebuilt a chain link fence in her yard. Now, Zona can let out her beloved dog Rusty without having to navigate the yard at night. The repairs are helping this lovely homeowner and her cute dog to live safely and comfortably as they continue to age in place. 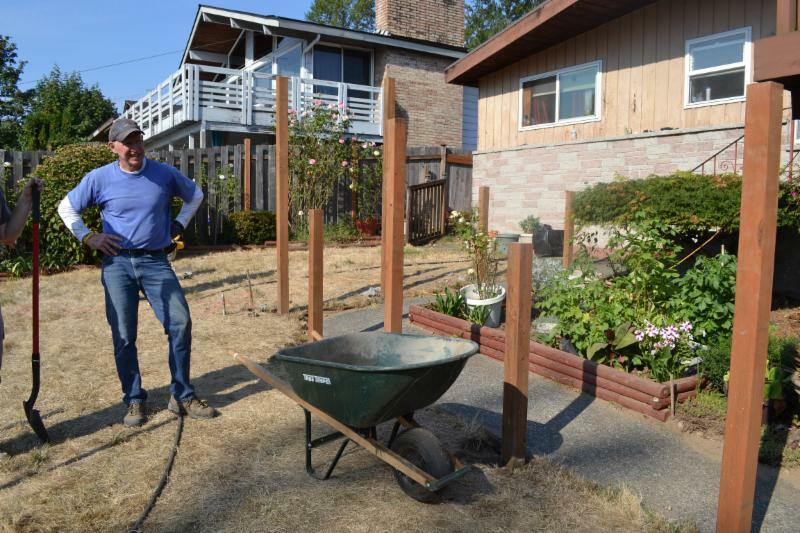 Ned, a retired mechanical engineer and avid mountain biker, has been a reliable and committed volunteer for Rebuilding Together Seattle since his first involvement back in the Spring of 2017. Over the past two years, Ned has supported a number of home repair projects and fundraising events while also participating in nearly half of our bi-monthly Open Volunteer Days since their inception in December 2017 (another project in which Ned was heavily involved in). Ned is the type of person to never shy away from a challenge and somebody that RTS can always count on to finish a project. 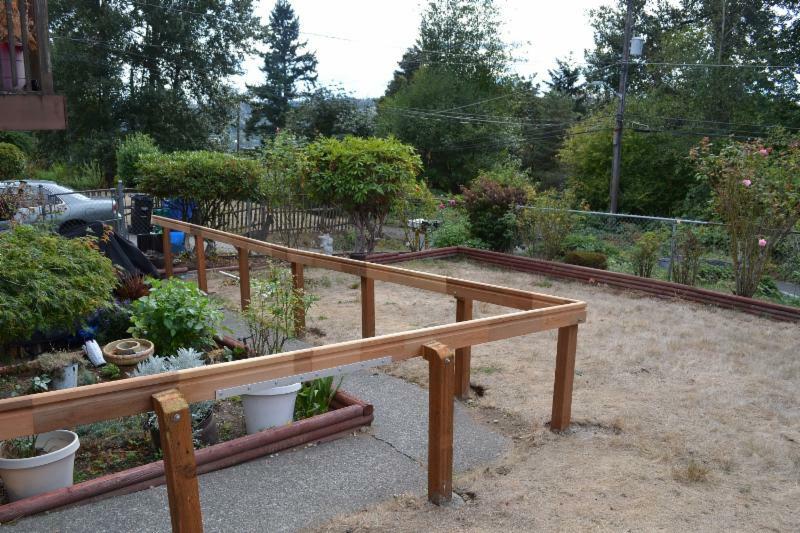 A few of Ned's recent involvements include installing a missing section of chain linked fence for a dog owner in Beacon Hill and leading the construction of a nearly 40 ft. long handrail to assist a Rainier View homeowner with mobility limitations. We also want to highlight Ned's active participation in two of our last three Open Volunteer Days - where he committed his time not only to the planning and materials procurement processes, but also to leading volunteers through higher level home repair tasks on the day of the event. Ned's involvement ensured that these two projects were enormous successes. 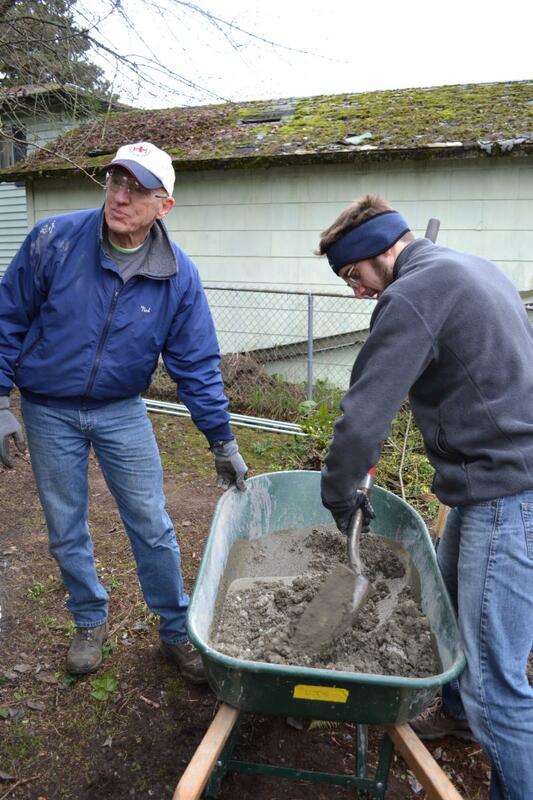 Rebuilding Together Seattle would like to thank Ned for his continued support of RTS and our neighbors in need. Thanks to their generous support of our programs, we are one step closer to our vision of safe homes and communities for everyone!